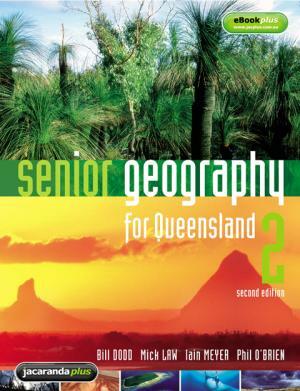 The second edition of the Senior Geography for Queensland 2 series has been specifically written for the 2007 syllabus in Senior Geography. Book 2 presents Themes 3 and 4 from the syllabus, covering the syllabus focus units as well as elective units. A GIS disk accompanies the text to assist in the requirement that students experience spatial technologies. Senior Geography for Queensland 2 2E eBookPLUS is an electronic version of the textbook and a complementary set of targeted digital resources. These flexible and engaging ICT activities are available to you online at the JacarandaPLUS website (www.jacplus.com.au). Click to view Senior Geography for Queensland 2 2E eBookPLUS.